These paleo frozen banana pops are a nice alternative as a treat for those of you who are trying to keep wheat products out of your diet. They have a taste that is similar to a nutella pop and are super easy to make, too. This recipe makes a great afternoon snack, or dessert after a summer time barbecue. 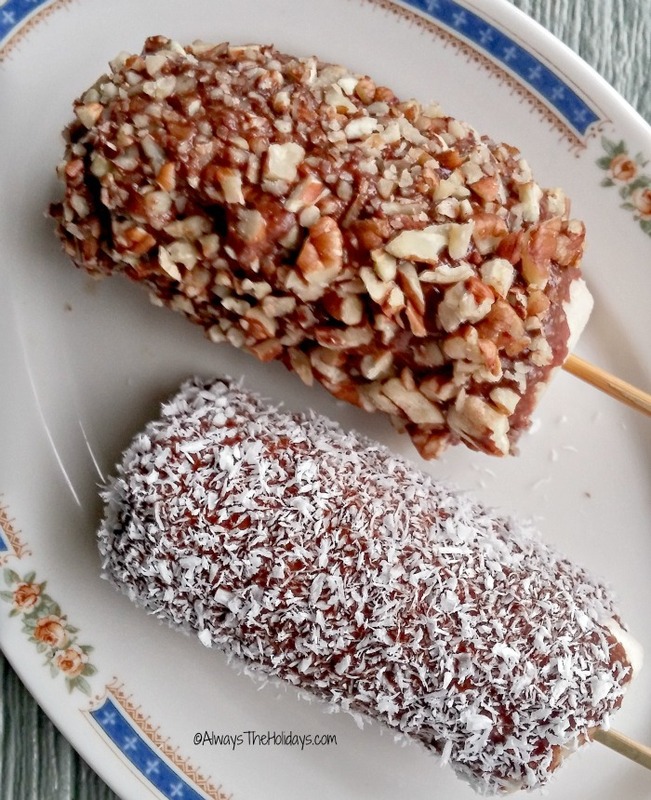 These paleo frozen banana pops are the perfect way to treat your kids on a hot summer day. A paleo diet is a very natural diet. It stresses eating animal products, vegetables and fruits, raw nuts and seeds and some added fats (such as coconut oil, avocado and butter.) The diet asks that all grains are avoided. I have recently discovered a company called Steve’s Paleo Goods. They have a huge line of products that are geared to a Paleo diet. I have used many of their sauces and paleo granola items in recipes and love them all. One product of theirs that I am using today is called Paleo Nut Butter. 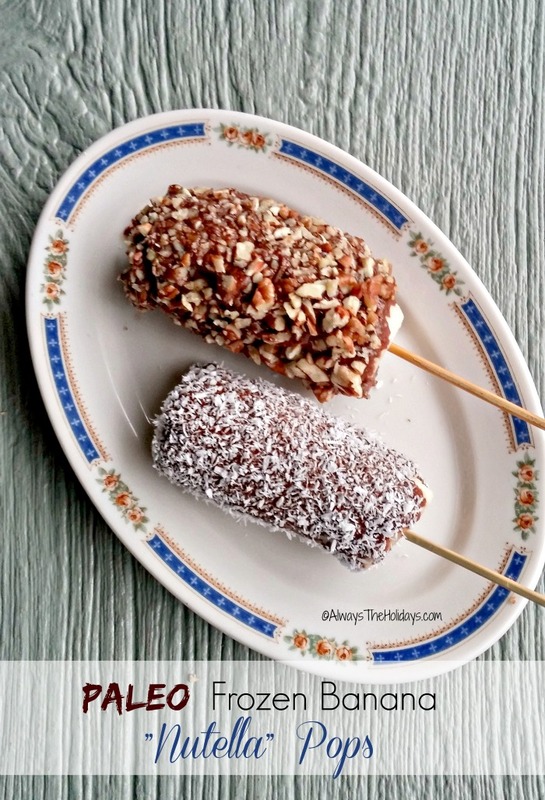 It is a great alternative to Nutella and makes these frozen banana pops a really great tasting treat. 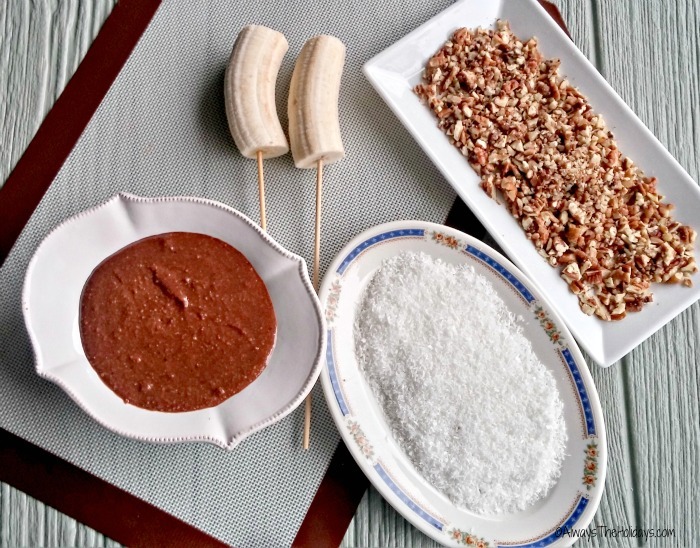 To make these Paleo frozen banana pops, start by peeling a banana and then cutting it in half. Insert a bamboo skewer into the center of the banana and freeze until it is firm. Combine the nut butter with a bit of coconut oil and heat it in the microwave until it is a nice soft consistency that will make dipping the banana easy. (the nut butter is quite thick, so add about a tsp at a time and heat it in the microwave until it is the desired consistency. When the banana is almost frozen, assemble your ingredients in a dipping station. I used chopped pecans and coconut but there are other options too. Enjoy Life makes a semi sweet mini chocolate chip and you can make your own paleo sprinkles using coconut and gel food coloring! Take our your frozen banana and roll it in the nut butter. Then roll the coated banana into either chopped pecans or coconut. Place the coated bananas on a silicone baking mat and freeze for about 20 minutes. Remove and eat the paleo frozen banana pop like a popsicle. Enjoy! For more ways to use Steve’s Paleo Nut Butter, see these ideas. 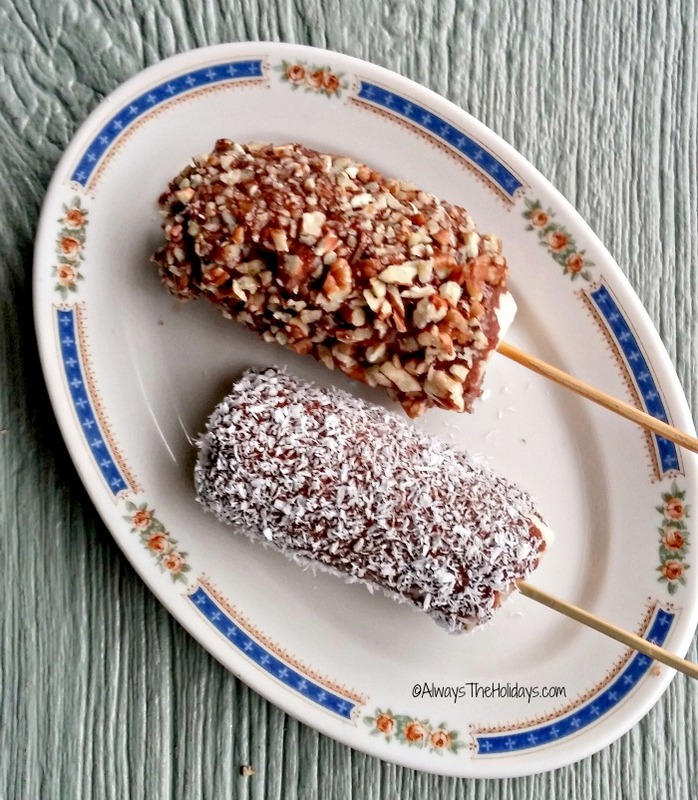 Paleo Frozen Banana Pops - Gluten Free! 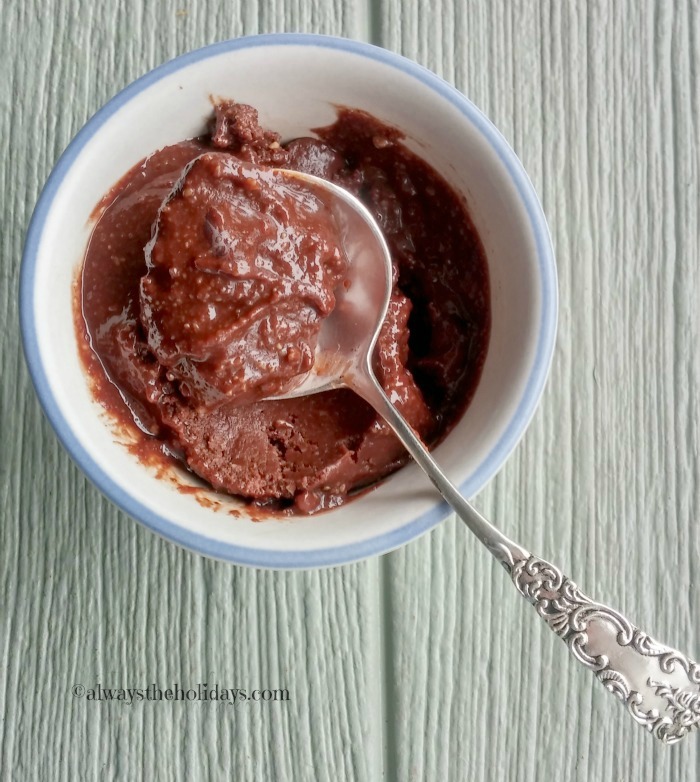 Use chocolate nut butter on frozen bananas for a healthy and delicious sweet treat snack. Peel and halve the bananas crosswise. Insert a bamboo skewer into each half. Place the bananas on a parchment lined baking sheet and chill in the freezer for 20 minutes. Place the Nut butter in a small bowl add a tsp of coconut oil and heat in the microwave until it is a soft smooth consistency. (add more oil if you want it thinner.). Garnish with nuts, coconut, or mini chocolate chips if you wish. Place the bananas back on the parchment lined sheet and return to the freezer to chill for 30 minutes, then enjoy! I am LOVING the look of the coconut one – NOM! They were yummy! We loved them.